testing. where do pax place agency name and maybe cons name ?? 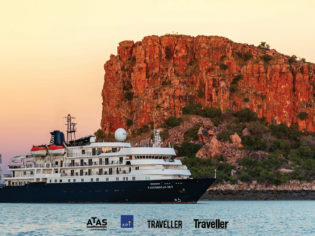 If you would like to lodge an official vote, head on over to https://www.internationaltraveller.com/vote-for-the-2019-travel-agency-of-the-year-to-win-an-11-day-apt-kimberley-coast-cruise/ or https://www.surveymonkey.com/r/afta2019 and enter to win! If you would like to lodge an official vote, head on over to https://www.surveymonkey.com/r/afta2019 and enter to win! Jetaway travel – Gisborne. Only travel company I trust to book my holidays through, always so Professional and go above and beyond to find you the best deal. Travel and cruise Castlemaine are the best we have experienced! They take care of everything and the safe are absolutely amazing and helpful! Jo is an amazing travel agent. She always goes above and beyond for every holiday I book. She finds me the best deals and is competitive with the big travel agents. She has an amazing turn around and comes back to me with exactly what I want. I have never EVER hsd a problem with Bendigo Travel & cruise. Their service is beyond reproach and particularly Michelle is the greatest. Always a pleasure to talk with her. I vote for Travel Bird. Bev Walters is the best travel agent! She makes sure she understands what you want to get out if each trip and then ensures you get it. She goes above and beyond for her clients. I’d like to vote for Home Travel Company in particular Stacey Lyons. We have booked with Stacey twice in the last 6 months and not only is the pricing competitive with other agents and online she actually ensures she books to the standard her customer expects. She listens to our needs and makes relevant suggestions. Amazing service nothing is to much trouble. Noosa Cruise & Travel are the greatest, friendliest and most helpful travel agent we have ever used. Not a single hiccup along the way. Bev is the best, feel completely relaxed while holidaying knowing she is looking after us. Amazing staff and know their stuff. My booking was completely hassle free and can not recommend this agency enough. Amazing work Helloworld Lake Haven. Thank you would love this trip is on my goal to do one day soon. Lake haven Helloworld the best travel agency as they are super helpful and actually show they care. Fabulous service, knowledgeable and follow up. travel agency that rivals their standard for excellence, enthusiasm and expertise! Travel Utopia go above and beyond service expectations. They are just incredible and nothing is too trouble. They treat every customer with the 5 star treatment and Ryan is just amazing. He even responded to one of my questions while on leave. They sound amazing, thanks Jacopo! I vote for Travel Utopia in Erina, NSW. Travel Utopia is my favourite travel agency as they provide a one-stop shop for all your travel needs and treat you like a member of their family. Travel and Cruise Castlemaine is run by a fabulous woman called Fiona Oliver and the staff work tirelessly to ensure every customer gets the holiday of their dreams! Very helpful friendly team, who make any request easy. The staff at New Farm Travel are helpful, professional and easy to communicate with. HelloWorld at New Farm have always provided excellent service and advice to my wife and I. Ingrid and Jannay have never let us down. I would have no hesitation in recommending them to our friends. Bicton Travel is the friendliest and most efficient agency I have ever used. No 1 in my book. Great staff, very knowledgable, efficient and charming. Thanks for coming back to us Alan! Staff are great, very professional but also friendly, welcoming and extremely knowledgeable and helpful. Would definitely recommend them. The service from Brighton Travel World is second to none and I would not go anywhere else. Helloworld Travel Alice Springs is by far the most outstanding form of customer service I have ever received – always putting the customer first, incredible! Helloworld Alice Springs staff have been wonderful in helping me in organizing my holidays, since I started to going to them. They helped me to find the holiday that I wanted at the best possible price. And they are so friendly that they talk to you like an old friend. I would like to nominate Brighton Travelworld as the best travel agent for 2019. Friendly and very helpful staff, extremely efficient and thorough with a wonderful knowledge of travel destinations, the best way to get there and the right type of accommodation for every client. They always keep us updated with special deals and fares and take all the hassle out of planning trips. Your holidays, NSW, Australia. Managed by Helen . One could not expect more attentive, professional and friendly service. Helen gets to know her customers and their preferences and looks after them as family. I am a very frequent traveler, both business and leisure and appreciate good service. Your Holidays , often exceeds my expectations. Without hesitation, we vote Helloworld Travel Alice Springs as our #1 Travel Agency of all time!!! We have been travelling the world since 2003 and Helloworld Travel Alice Springs have booked every one of our trips to Canada, Alaska, United States, South America (several countries within), Galapagos Islands, England, Ireland, Scotland, Wales, Europe twice, Mediterranean Cruises, Baltic Cruise, World Cruise, and much more since which is upcoming. We have NEVER had a fault, their service has been second to none, they have given us contacts to make us feel safe, sent us flowers abroad, upgraded our accommodation and airfares; best of all we feel like we are FAMILY!!!! Sounds like Helloworld in Alice might be doing a fantastic job! Great friendly service. Rachel was always thoughtful about what is best for us. I live in Brisbane, Qld but arranged through Rachel in Helloworld, Alice Springs, to do a trip with my sister to Singapore. Rachel made herself available when I was visiting for a few days, to help us plan our Singapore stay and made some knowledgable suggestions about things to do and places to go while there. Rachel was, professional, efficient, friendly and really made the whole experience easy and enjoyable. We are looking forward to the trip in May. Thank you Rachel & Helloworld. We have been dealing with Helloworld Alice Springs for over 15 years. Even though we have now moved to Qld, we still go to them for all holiday bookings. Fantastic people and service. Home Travel Company, namely Robyn Sinfield, helped my husband and I during an unfortunate set of circumstances in relation to a cancelled Cruise in 2018. Her knowledge and expertise is second to none and helped us immensely during a very difficult time with suggestions and help with making decisions which led to a positive outcome. Hello World have Fantastic Staff & do a Wonderful job. Always book my Tickets back to New Zealand through Hello World. Wonderful service we can depend on . I would like to vote for Home Teavel Company they are an amazing team. This would be a fabulous trip to win. Hello world. Great service, staff is very helpful & know their stuff. I vote for Press & James Mona Vale NSW. I found them to be very professional and helpful. I could relax knowing my holiday plans were in safe hands. My favourite travel agency is Your Holidays, Market Street, Sydney. Run and managed by Helen, Diana and Kim, they are the most efficient, organised and dedicated team, that any traveller could want. Their beyond and above commitments to their clients are outstanding. Used HelloWorld Alice Springs for some years now. Always had excellent service from Michelle Boyer. Genuinely concerned for her clients in delivering a trouble free holiday to the best of her ability. Flight Centre, Stockland Mall Baulkham Hills 2153, never fails to deliver the best service, up-to-the minute deals, valid tourist information, together with accurate alterations to printed media releases. Bicton Travel rules supreme over others as the best travel agency to deal with. Friendly, excellent hassle free service. Recommend to everyone. Geelong sounds like it produces some world class travel agents! Alice springs hello world staff and services are fantastic. Sound like the staff offer amazing service! I would like to vote for Coopers Travel in Bairnsdale. A good honest rural Travel Agent. Good to see some support for our regional travel agents! Thanks for that information Colin! Viv Craig of Viv’s Travel Bug (www.vivstravelbug.com.au) put together an amazing African Safari for us last year in Zimbabwe and Botswana. Wonderful attention to detail and the best holiday we have ever had. Sounds like Viv is an absolute champion! I have found the staff at my travel agent – Brighton Travel World to be first class – especially during our recent South American tour for 6 weeks and 6 countries. Their brilliance was demonstrated in the picking of friendly and extremely knowledgeable tour guides that made our tours flow in a relaxed manner. Also organising the timelines and getting the most time out of our stays in each location. They also took into account what we wanted to achieve/see and their financial costings were accurate. Having good documentation given to us early and helping us out with a troublesome Visa requirement, the agency sprung into action very quickly. Finally our agent was alerted to floods in an area we were to see and they organised to notify us in advance of what had happened and arranged an alternative tour. It was lovely to see such attention to detail, to make our trip a flawless one and a very enjoyable once in a lifetime trip. Brighton Travel World sounds amazing! Staff are the most polite, efficient and generally know what and where one would like to travel. They always listen to their customers and promptly respond to any inquiries. Sounds like a winner James! We’d love to hear more about this great little company! Flight Centre does an amazing job! Bicton Travel is the best! I would like to vote for Amity Travel in Floreat Park (WA). They have been in business there for over 50 years and still going strong. They looked after my Mum and Dad for all their travel, myself and family and now my children and grandchildren. Nothing is too much trouble and their interest in our enjoyment of travel and their enthusiasm is fantastic. I think they would come with us if they could! 50 years! What an accomplishment! Ballina Cruise and Travel (located in Ballina NSW) has arranged trips for me to all continents over many years. Nothing is too much trouble. They find deals, make suggestions, find great air routes and are always pleasant. A round of applause for all the staff who always go the extra mile! Kerrie-Anne Hands is a true travel guru at Flight Centre, Settlement Cit, Port Macquarie NSW. Over the past 8 years Kerrie-Anne, with the very professional Flight Centre management, has dealt with our trips to Europe, UK and Canada usually at least once per year over that time. Our experience with her has been excellent and it is not uncommon for my husband and myself to be working on the next trip whilst on our way home. Sounds like Kerrie-Anne is an absolute gem! Sounds like it is well deserved! Cruise Travel Centre, Kotara NSW are cruising specialist but can handle any travel request. Nick helped us with a European river cruise even though it meant making calls during the night. Always helpful. Sounds like a well deserved vote! Holidayworld Salamander Bay. Wonderful, experienced support for all our travels for over 15 years – wouldn’t go without them! Sounds like Holidayworld deserve your vote! The best. HolidayWorld Salamander Bay are reliable, experienced and proactive providers of wonderful personalized travel advice & support. It would be an amazing trip to go on, it’s one of the best kept sercets in Australia, the Kimberly coast. Hi, I highly recommend FBI Travel. Ginette Peterfreund was my contact and the best travel agent I have ever used. Ginette recently organised a trip to Israel for my daughter and I. After discussing our needs and expectations of the trip, Ginette put together a fabulous itinerary, that gave us excellent hotels, plenty of things to do, amazing guides and support on the ground and that much needed time to relax on an action packed holiday. Ginette contacted us during and after our trip and welcomed all feedback. 5 stars to Ginette and FBI travel. It would be an amazing trip to go on, it’s one of the best kept secert in Australia, the Kimberly coast. Cruise Travel Centre Kotara NSW. Specialists in cruising but can handle any travel requests. Nick looked after a difficult Europe holiday even calling Europe in the middle of the night to make sure our plans worked out. Nothing is too much hassle. Midnight calls are over and beyond in customer service world. Sounds like first class service. APT for continued experience, expertise and excellence. Book all my overseas travel with Hello World Alice Springs. Simon & Guillaume are the best. They attend to all my requirements, have great suggestions and all with no effort. Simon and Guillaume sound incredible. I would like to vote for JA Travel Solutions. Jo has an amazing amount of knowledge of different parts of the world. She is always willing to go above and beyond for her clients and will find a variety of deals to be able to choose from. She is approachable and nothing is too much trouble. She is willing to do plenty of research to find great activities or deals for families, singles or couples. Jo is exceptionally organised and is very prompt with returning contact or information. I would highly recommend her services. Sounds like they are well deserved. Love APT have been on several cruises on MS Island Sky. Love the small ship experience. I would like to put forward Tim McLean, a Director of ‘Travel Execs Pty Ltd’, for the 2019 Travel Agent of the Year (tim@travelexecs.com.au). * our son and his wife. The occasion was the wedding of a good friend of our daughter, we also took the opportunity to go on a 5-night safari at Moditlo lodge (on the edge of Kruger National Park) while my son and daughter in law had a week in Capetown. * private minibus from Jo’burg to Moditlo. * hotel room in Jo’burg for the last night, before the flight back. The trip ran like clockwork, due to Tim’s organisation … and his choice of safari lodge was sensational. Wow what an awesome opportunity. Who wouldn’t love a Cruise to the Kimberly Coast. The Kimberley Coast is bucket list stuff! Local agencies usually always offer great service. Local agencies always do a fantastic job! Cooroy Cruise and Travel. Always efficient, experienced and helpful. Sounds like the perfect holiday. Sounds like Cooroy Cruise and Travel deserve your vote! Thanks for your well wishes Lindy! Steve and I have continue to be impressed with the level of service that we receive whenever we plan our overseas trip. Robyn is always friendly, listens to what we would like and then organises our itinerary for us. She hadn’t failed us yet. Love Noosa Cruise and Travel; everthing is done so well and seemingly without fuss. Bookings are mistake free and all the Consultants are very knowledgeable and helpful. We would like to vote for Bicton Premium Travel who are very professional in their work. Bicton Travel are great travel agents, very professional and find us the best deals. BictonTravel are a very professional and experienced Agency. We vote Bicton Travel, travel agency of the year 2019. We have travelled with them for the last 15 years, have tried others in the past but their consistent, experienced, professional, efficient, quality, friendly service, make us very happy travellers. We highly recommend them. Carmelo and Santina Chillemi. A great company who has given us many great holidays ,. We have used Bicton Travel many times. They put together some great packages at a reasonable price. Bicton Travel are simply the best. Have always found Bicton Travel consultants to be extremely friendly and informative with any queries I have had in past bookings. We can thoroughly recommend Bicton Travel to any new travellers out there, you will be looked after and kept informed of any potential destinations you may be interested in. I believe that Bicton Travel in Western Australia is one of the best, if not the best, Travel Agent in Western Australia, and I have dealt with several Agencies in the past. The team at Helloworld Alice Springs are amazing. Their attention to detail and their fabulous customer service is a true reflection on the management of this store. Their staff are delightful, helpful, have amazing knowledge of the world and I would recommend anyone to book their trips with them. They are the most friendly helpful staff. Nothing is too much.trouble. they have gone out of there way to help with flights that needed to be organised. Overseas trips well organised and gave peace of mind with organisation. Highly recommend. St George Travel successfully coordinated flights, accommodation and tour bookings for a group of 12 adults, including 2 overseas friends. Panorama travel has always been able to arrange and book my travel requests, sometimes to very out of the way locations, eg., Mongolia, Borneo, Pacific Islands. Staff at the Travel Bug Carine go to the highrst level to ensure ee get best prices and everything is in place to have a wonderful and hassle free holiday. We have used Kingscote Travel for our travel arrangements within Australia and over seas,including Britain, Iceland,Scandinavian countries,Sth.Amerca,and Antarctica,extremely well organised with nothing left to chance.Go Kingscote travel! Bicton Travel consultants are extremely knowledgeable, helpful, reliable and friendly. Mermaid Waters – they are all experienced, lovely ladies who go the extra mile everytime. South Coast Cruise & Travel are an amazing travel agency. Lindy, Breanna and the rest of the team do their utmost to organise your travel plans so you have a care free holiday. They also organise wonderful informative Travel Nights, having various travel companies coming down to give talks and keep up with the latest info. They’re the best! Fabulous friendly service! Very knowledgeable. BICTON TRAVEL surpasses all other travel agents we have used in the past 44 years! In 2008 we decided to try BICTON and have since used them exclusively to book in excess of 30 cruises. The staff are dedicated and professional and research some economical and fabulous travel packages! We have referred a number of family and friends to them for their services. have used a number of travel agents over the last 44 years, with most being at the best average. During 2008 we decided to try BICTON TRAVEL and have never looked back since! Panorama Cruise and Travel Bathurst provide a most woinderful service. They are very experienced and knowledgeable, are great to go on a tour with,lots of fun and laughter. They will help you to design you own itinerary, amke all of the bookings and ensure to the best of their ability that nothing is missed out. Agreat team I have traveled extensively with them thia past 12 years. we have travelled with Bicton Travel many times. We have found they have the Best Travel Packages to Amazing places at Affordable prices. Their staff are always knowledgeable and helpful in assisting you with any queries to do with your travel plans. I always recommend Bicton Travel to people interested in seeing the world. I give them 10-10. Bicton travel are efficient,friendly and they offer a great variety of travel options at very competitive prices. I would vote for Expedia. They seem to get the balance right with accurate advice, plenty of options from years of experience and what matters to us are reasonable price options. Could not ask for beter service.We were always kept up to date with the progress of our trip and given knowledgeable information when needed. We have been using Bicton Travel for more than 20 years and find their service outstanding. Their consultants are very knowledgeable, friendly and a pleasure to deal with. Nothing is too much trouble to arrange our travel requirements no matter how varied they may be. a very professional Organisation.Have booked through them and always received very good advice and services. Helloword Travel Tweet City have got my vote! Bay Travel and Cruise are fantastic for organising any holiday and seem to have extra knowledge about little known but fabulous hotels and things to do and see. I have been going on Chris Watson Line dance holidays for many years. Always Reliable, Safe & Fun!!! Highly recommend ! Queanbeyan City Travel have always helped me with all my travel inquiries and I have been pleased with the professionalism and friendliness of the staff. My sister and her husband have traveled from Sydney to book tours with Jenny Cooper too. I would recommend the Agency to anyone. Michelle and Natalie are without a doubt, the best travel agents that we have ever dealt with. Hopefully we will be dealing with them for many years to come. Hello World Alice Springs has been providing a very professional and helpful service to our business for over 10 years. staff have always got us the best deals for our business and personal bookings. I always recommend Hello World Alice Springs to people I meet wishing to travel. Always looked after us and went the extra mile. We have had numerous trips arranged through Bicton Travel and have been very happy with their professionalism and service. We will certainly be booking more holidays with Bicton. I was very impressed by the depth of knowledge, the care and consideration and the friendly demeanor of Michelle and her staff. Nothing was too much trouble and all suggestions were respectfull and helpful. I would not hesitate to recommend their services and have indeed done so already. The girls at Noosa Cruise and Travel (Hello World) are fabulous expert travel professionals who have been of tremendous assistance providing a seamless holoday trip and cruise experience which we could not have done ourselves. We have been booking our travel with Travel Makers, both international and domestic, for a number of years. The service is impeccable and everything happens where it should and when it should. Miranda Helloworld go above and beyond to make your vacation a wonderful memory..Gada Ibi and their expert team welcome you as family and no request is too big or too small. I use RACV Travel. I do not seem to suffer the horrors that are recounted by my fellow travellers. With the good relationship to the Melbourne City personnel, they keep me well informed of issues that may be encountered on my destinations. Booked a cruise with Cathy Rice last year. Excellent cruise and travel agency! Escape Travel, North Adelaide,Phone 1300735865 The staff attatched to this uber friendly Travel Agency are renowned for going the extra yard for their clients, the exude such positive energy and professionalism in vast abundance in spadefuls with their intense warm luminous smiles which i find enervating plus refreshing which leaves me feeling as though i am a V.I.P. their so sweet. Laramie. 8/02/2019. Williamstown (VIC) is an exceptional Agency. As well as arranging travel to suit our needs every time they also arrange their own escorted tours. New Farm Travel are an amazing team and have always provided the highest quality service when my husband and I are booking our trips! I’d nominate Contours Travel, Melbourne. They put together a Sth American 50 day private tour for 10 of us in Oct 2018, visiting 6 countries. I should like to vote for Hello World in Tumut. Truly the most obliging and attentive agency I have ever dealt with. When we have had a crisis in the family they have been there for us so that we can be with family in times of need, no matter where the crisis was, England, Brisbane, Singapore Hello World were there for us. When we wanted to go somewhere obscure, they found a place and way to do it.. When we have had to change dates for a trip at the last minute, they were able to achieve this without a great loss. When we had a mixup in a hotel booking, the hotels fault not theirs, they were able to convince the hotel to book us even though they said they were full, result, a great upgrade at no extra cost, all done over the phone from Madrid to Tumut. Broadway Travel have continually given my family service above and beyond our expectations and have understood our needs and travel wishes. They are exceptional!!! Staff are very helpful and reassuring. I feel very confident when booking an extensive and complicated itinerary with them that they’ll do the right thing by us, the clients. Helloworld Booval is very professional, excellent service and can be trusted to get it right every time, highly recommended agency. Helloworld Booval a go to agency, very helpful in helping to organize our trips, they get it right first time every time highly recommended. I would love to nominate Flight Centre at Dural NSW for the agency of the year. In particular Rachael Hunter the agent extraordinaire we always deal with! Everywhere Travel is a locally operating business out of Carnarvon Western Australia who are extremely professional and will go above and beyond to assist to make sure all your travel arrangements are sorted and will also ensure you have best possible experience on your holiday. Have used Bicton Travel for past 3 years and the level of service is fantastic from all the staff but particularly Holly. Bicton Travel……have always worked well for us when cruising or touring. Chris Watson Travel Tamworth is the best travel agent. Chris makes you feel like family and booking holidays is easy and stress free. Chris Watson Travel Tamworth NSW simply the best. For attention to detail, fast, friendly and efficient service. Bicton Travel personal are always so pleased to answer any question and offer advice. Professional, great knowledge, always helpful – why would you go anywhere else? I have had years of great travel organised by Ballina Cruise and Travel and plan to have many more years of trips organised by them. I travel to UK/ Europe every year and always book through Hastwell Travel & Cruise, McLaren Vale. I am assured of personal attention, travel updates, best travel arrangements and prices, plus knowing that I have the back up of professionals should I encounter problems. Will be in soon to book my next trip. I like the way they work, always keeping you updated. They treat you as part of the family, nothing is to much trouble. Our trip to Canada last year was organised perfectly by Trinity and her team at Hastwell Travel and we will be talking to her again in the near future about our plans for a trip to Europe. Amazingly helpful great trips offered organised to the last detail and the best friendly advice and service you can get. Travel to the other side of the world and it all falls into place because they did the business just so professional great travel team. Bev Walters of TravelBird has provided excellent Travel Plans and iteneraries. Our holiday experiences have been extremely enjoyable and adventurous and without any problems due largely to the research and efforts of Bev Walters. Bev is passionate about her role and industry and goes out of her way to ensure a memorable experience for her travelling clients. Very impressed with Ballina Cruise & Travel have done quite a few trips with them. They have been brilliant so helpful and nothing is an issue from booking tours to theatre tickets. Well done. Helloworld Alice Springs are more than just a travel agent. They really are committed to offering a professional, well-organized and courteous travel service which also a wonderful back-up service should something arise on your travel. I have used them for many years and cannot fault Guillaume and his wonderful team. Best travel agent in Bundaberg – nothing is too much trouble for them. Always polite, courteous and always ready to assist in anyway. I find everyone at Travel and Cruise are most helpful when booking holidays with them, they go out of their way to give you what you are looking for. Fantastic Agency always friendly& attending to my needs. Know their stuff & on the ball. Extremely friendly staff & they always get back to me quickly. Most accommodating customer service ever. travel and would reccomend them to anyone. I’m voting for Hello World Travel at Tweed City Shopping Centre. The reason I vote for APT is because I have travelled with them twice and have booked to go with them again this year as I am very happy with everything from the time of booking, during the tours and follow up afterwards. Passengers are of prior importance during tours and I have no complaints only compliments for all their staff. Have been receiving the publication for many years. Very happy the content plus more important up market travel opportunities. Have always found Roslyn & Anita to be very helpful and obliging with our holiday bookings – offering suggestions and tips to make the holiday all the more enjoyable. The strength of Panorama Cruise and Travel, Bathurst is the people who assist and advise you not just when you book but during and after your trip. They take the hassle out of travel. The strength of Panorama cruise and travel is the people who assist and advise you in selecting your trip. They provide a first class service in a friendly way.We recommendPanorama to everyone. They take the hassle out of travel. Very helpful and always please – even when they are under pressure. Globetrotters Travel Toowoomba, provide a service second to none not only providing a flight, accomodation, vehicle and tour booking service. But also provide a. Speciality tour operators service with Safaris into Africa. This business should also be recognized for what it does to stimulate awareness of the Wild life in our world. We are extremely happy with the service and advise we have always received through Ballina Cruise and Travel. Wonderful team and a special mention to Tammy who has done a wonderful job organising our upcoming trip. Excellent travel company. Very caring and very thoughtful staff. Excellent travel company. Very thoughtful and caring staff. well I will be booking cruise no 13 shortly with Panorama Cruise and Travel why you may ask well they have the right staff members that know travel and how to assist clients receive great deals and make sure they enjoy their holiday but also they treat clients with respect and while they continue doing that then people will continue to book vacations with them. Enjoyed our last cruise to NZ which you organised for us. Kawana Waters Travel are AMAZING they have been so helpful in organising all our travel arrangements including travel insurance and we would be lost without them. Kawana Waters Travel are AMAZING!!! They have organised all the travel arrangements for us for years now and we would be lost without them. Their experience is priceless and they are so easy to work with and go beyond what is expected of them. We cannot speak highly enough about their service. It’s so easy. They do it all for you and offer great ideas. Capricorn Travel – WA are great. I have not used another travel agent since being involved with the staff at Capricorn Travel. I love Capricorn Travel, i just tell them where and when and they ger back to me so efficiently with many choices and varieties. Love it. Thanks Capricorn you are great. Carine Travel Bug is such a great local travel agent and we are very lucky to have such a great bunch of people so locally. have booked several flights to the UK and Bali holidays with these guys, always an easy, professional process. LISA is great always love to deal with her in particular but all the staff are professional and knowledgeable about all aspects of their business. Allison at Middletons travel always goes above and beyond to provide wonderful customer service, great prices and packages and a wealth of knowledge, wouldn’t shop anywhere else. When my sister recommended I use an interstate travel agent to arrange my first cruise I was very sceptical. However, Kathy at Burnie Travelcentre has managed two cruise bookings for me now and has been the most helpful travel agent I have every dealt with. Her excellent service has included working after hours during the week and on weekends to assist me with a very late booking, explaining in detail every aspect of the process and going above and beyond to add my daughter to booking at the last minute. Despite the fact I am located in the ACT, I will continue to use Burnie Travelcentre for future cruises because of the exceptional service provided by Kathy and the rest of the team. Thank you Kathy! The great people at I love 2 travel and cruise bend over backwards to get the right deal for us. I would like to nominate Floreat World of Travel in WA as their customer service and product is second to none. Have recommended Kings Tours and Travel to lots of people. Wouldn’t go with anyone else. Very professional and so helpful and friendly. I have booked all my trips through Your World of Travel in Frankston South. Donna’s advice has always been very comprehensive, regarding visas, vaccinations and anything else I have needed to be aware of. This is my agency of choice. They do a fantastic job and are very experienced. An amazing agency. Up to date with anything to do with travel. Always creative in their suggestions; always professional, always efficient, always accessible! It’s Top Deck for me, all the way! I go all the way with Top Deck! Top Deck is top notch! Top Deck Travel is a cut above the rest. My experiences with this travel centre have been very rewarding. The staff listen attentively and and cater to each individual’s needs. Their experience and advice offered further enhance the travel experience. Their attention to detail is very impressive and takes all the pressure off their clients. Belmore Travel, Balwyn, Victoria. for unbelievable personal service and a “can do” attitude even for the more obscure requirements. Mary Balmain at Twofold Travel in Eden, NSW is very approachable at any time of day and her follow through is very thorough. She will go the extra mile for you. The staff are always so friendly and knowledgeable. with every aspect of our travel. Where so helpful they would bend over backwards for us. Two thumbs up all the way. Friendly helpful service ! love receiving travel updates! your knowledge of travel! your local travel shops! great deals ! Argyle Travel and Cruise definitely has my vote! We first met Tina & Monica back in the 80’s when they worked for our Credit Union as travel consultants,we booked our first O/S trip with them because they were so helpful,happy and efficient.When they set up their own business we followed them and have used them to book all our numerous inter/overseas trips since because of the reasons stated,we would recommend them to anyone who wants a hassle-free holiday.GO GIRLS. DUE TO A FAMILY MEMBERS HEALTH PROBLEM I HAVE NOT BEEN ABLE TO TRAVEL OVER THE LAST 4 YEARS, BUT KINGS (PERTH) HAVE ALWAYS BEEN A FABULOUS COMPANY TO DEAL WITH WHETHER IT BE A GUIDED TOUR OR THEM ARRANGING A HOLIDAY TO TRAVEL ON MY OWN, EVERYTHING WAS ARRANGED RIGHT DOWN TO THE LAST DETAIL. Argyle Travel n Cruise are fantastic we have booked all our holidays with Naome. We hsve always had the best service and nothing is too much trouble for them. They are the only travel agent I would use and I recommend them to everyone I know. Walter at Tour de Force Travel Carine is the greatest!! very prompt and courteous service, sourced and provided cost effective expense for travel,highly recommended! Australind Travel Agency is a fantastic bunch of ladies to deal with. They are very knowledgeable, helpful, polite and friendly. I find working with Travelmakers always great as they provide excellent service and assistance. I vote for Floreat World of Travel. Naracoorte travel and Cruise have organised many holidays for us. They have actively monitored us whilst we are on holiday, immediately informing us of changes to travel plans by ailines, transport companies etc. They have personalised everyone of our holidays. They are fantastic! Julie of Bridge the World Travel has always been obliging and very helpful with all of my travel arrangements …. some of our travel has been quite involved and all the details were taken care of. I won’t consider going elsewhere that’s for sure! We’ve just booked our 4th overseas trip with Panorama Cruise & Travel Bathurst. We kept going back because they had the knowledge and expertise to get us to where we wanted to go with ease and give us the options when we’re there. Booking was a breeze and they’re always easy to contact to discuss more options and book them too. Evelyn, from Kingscote Travel, is exceptional. Her detailed knowledge of both the industry and her clients means that she can create a travel itinerary that really fulfills expectations. Her promptness, reliability and lateral thinking has saved as few holidays! Excellent service with very helpful staff, with local knowledge being of the highest standard. Always ready to please and assist in any situation. We have dealt with Top Deck Travel, Norwood, South Australia over many years and in particular consider Clare Horton, Consultant to be outstanding in her approach in dealing with us as clients, guiding us and being resourceful in relation to our travel plans. We have have complete confidence in our dealings with her. Further the Top Deck Travel business is reliable and well sough after by our friends. Highly recommended. Top company always go out of their way to help you. Good company always willing to help you. Bicton Travel gives us excellent personalised service. Nothing has been too much trouble . Broardway Travel is An amazing agency. Extremely professional and friendly. Always on call, even in the early morning when stranded at an Overseas Airport when the agent didn’t turn up. Lisa sorted it without hesitating. They are very patient, find the best deal and give great advice. Thrilled at prospect of sharing and exploring the beautiful sites, shores & islands of the Kimberley from the comfort of a beautiful luxury ship with my good friend is so very exciting. Fabulous service. Great itinerary and painless changes when they became unavoidably necessary. We have always used Skilled Travel at Ingleburn to help plan and book our trips. They have always been friendly, professional and courteous and respond promptly to our travel requirements. We highly recommend Skilled Travel to everyone. Ez, the manager of Student Flights, Melbourne City, is an outstanding customer service focused person and always happy to assist with anything. Excellent service at all times over many trips. I found Skilled Travel to be very friendly, efficient and helpful when making our itinerary for our six week European holiday. All reservations that they made worked perfectly, and my every query before the holiday was answered in a timely manner, and to my satisfaction. I am a seventy plus year old who had never travelled to Europe before, so the whole trip was enjoyable thanks to their efficiency. ✨✨ This would be aMaZiNg to win !!!! Thank you. FC Waverley is the best agency I’ve ever used. We have been going to Skilled Travel at Ingleburn for over 10 years. They always give excellent advice on our travel ideas, always helpful and the team are very approachable and friendly. They also offer free travel nights with special guests on different destinations. Nothing is too much trouble even when we have changed our plans! Always excellent service with a smile! The Staff are very friendly and obliging and go out off there way in every way. Meridian World Travel is outstanding! Michael’s knowledge of Europe and his suggestions for accommodation and activities have been extremely suitable on the several occasions he has helped me plan a trip. He’s also very patient, flexible, and very thorough. Great site and amazing travel holidays and deals! I always feel happy and confident when I book with Burnie Smithton Travel, I know I will get where I need to be on the right day with my luggage and husband. Nothing lost or left to chance. fantastic customer service. Helloworld Travel Kalgoorlie great service great team. When planning for a holiday i wouldnt go anywhere else. Jetsetter Travel are awesome. Jetsetter Travel nomination. Best travel agency in the business!!! I love the service that Skilled Travel provides, warm and friendly service, great advice and recommendations, never disappointed. One of the friendliest and most helpful travel agencies I’ve come across. We have lived in three different countries and they are just a standout above the others. I booked a European holiday/cruise last year 2018 and found Aoife to be very professional and knowledgeable. She kept contact with me throughout the process. I would highly recommend her to others. I would like to vote for Discover Travel and Cruise The Gap, Queensland as they have looked after the family’s travel needs for a number of years. I have found their depth of knowledge, friendliness and courtesy to assist us in planning holidays a very exciting and memorable time. I look forward to many more years of travelling through Discover Travel and Cruise at The Gap, Brisbane.